What is a Missouri Pediaric Dentist? all relate to fears of seeing a dentist. But imagine a dental exam from your child’s perspective. We believe that tiny mouths deserve tiny tools and gentle treatment. At Burleson Orthodontics & Pediatric Dentistry, your child will be made to feel at ease and even enjoy coming to the dentist. We offer everything a normal dentist does: X-rays, cleanings, dental surgeries if necessary – all on a child’s level. We can alert you to ways to help your child avoid the tooth decay that can lead to painful cavities. And we continue to treat children’s teeth as they mature through their teen years. Why Should I Choose Burleson Pediatric Dentistry of Kansas City, MO? 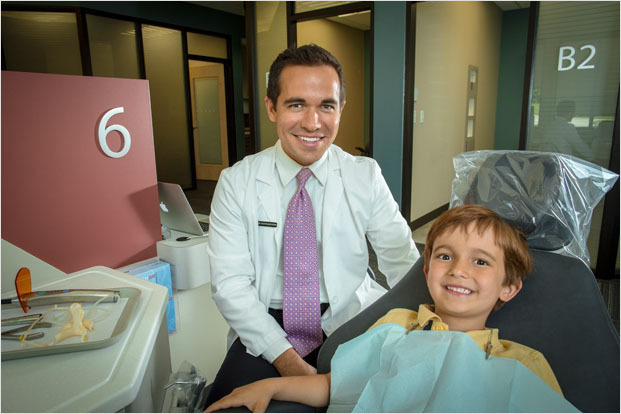 Burleson Orthodontics & Pediatric Dentistry serves infants and children in the Raymore, Liberty and Kansas City, Missouri (MO), communities with compassion.Your child’s happy and healthy smile is our reason for coming to work each day. If you’ve ever been nervous or anxious to see the dentist, imagine what it might be like to a small child. That’s why we take extra time to ensure your child has an exceptional visit to our office each and every time. 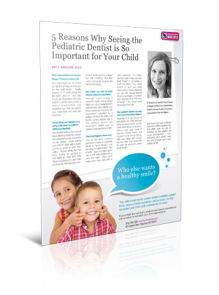 We invite you to download the article 5 Reasons Why Seeing The Pediatric Dentist Is So Important. Claim your copy of Doctor Burleson’s 7 Smart Tips For Your Child’s First Dental Visit before choosing your family’s Kansas City, MO, pediatric dentist. 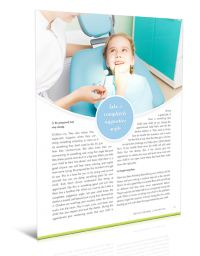 For general information on dental care for your child, download this article from the American Dental Association. Choosing just the right dentist for your baby or child is a big decision. We are happy to speak with you about their individual needs before beginning treatment. First consultations are always free. Give our orthodontic office a call at 816.759.0123 to set up an appointment, request an appointment online, or simply reach out via our online contact form, and we will respond very soon.